Solution Based Engineering | History - Jay R. Smith MFG Co.
1926 – Jay R. Smith Mfg. Co.® is founded in New York City by Mr. Jay L. Smith. 1930 – The business grows, justifying the hire of the first full time employee. 1933 – First permanent facility is established in Newark, NJ. 1942 – Mr. Jay L. Smith, founder, dies at the age of 77. Mr. Jay R. Smith assumes leadership of company. 1946 – Company relocates to a larger facility in Union, NJ. 1979 – Corporate Headquarters and manufacturing is fully established in Montgomery, AL. 2010 – Business merger with Acorn Engineering Company® located in City of Industry, CA. 2011 – Celebrated 85 years of service to the plumbing and drainage industry. 2011 – Construction on a 53,000 sq. ft. warehouse expansion begins and the building's office facilities are renovated. 2012 – Construction of the new warehouse is completed. 2016 – Mr. Jay L. Smith II dies at the age of 76. In the 1920’s, Jay L. Smith, a New York salesman for the National Lead Company, saw a growing need for brass and bronze specialties. Arranging to have his products manufactured by other foundries, Smith began his fledgling corporation in his basement on Manhattan’s 94th Street. It was established on a solid foundation of fair dealing and customer service. In 1942 ’s, with the war effort only months old, management shifted to Jay R. Smith following the death of Jay L. Smith at the age of 77. Growth after World War II resulted in a much-needed move and expansion to a new facility in Union, NJ. In 1978, Jay R. Smith retired and the company moved to its present location in Montgomery, Alabama. The plant is situated on a 33-acre site in Gunter Industrial Park; the plant contains over 300,000 square feet of office, manufacturing, and warehouse capacity. Jay L. Smith, a New York salesman for the National Lead Company, saw a growing need for brass and bronze specialties. Arranging to have his products manufactured by other foundries, Smith began his fledgling corporation in 1926. It was established on a solid foundation of fair dealing and customer service. In the 1930’s, an expansion into marine products precipitated a move to Newark, New Jersey. During a time of national economic distress, the company’s values and commitment to customer satisfaction resulted in expansion and continued success. 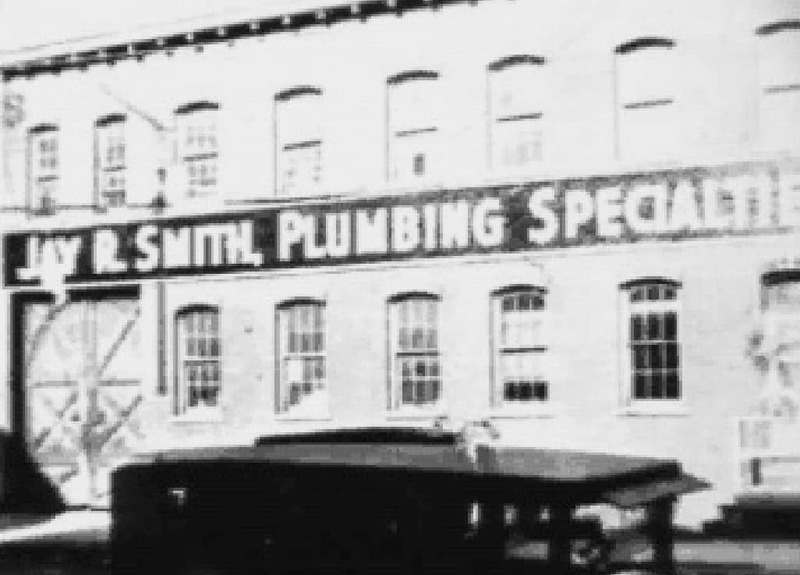 At that time, additional employees were hired for machining processes and Smith started manufacturing products. In addition, management shifted to the young Jay R. Smith. Finally, growth and expansion after World War II resulted in a much-needed move to a new and larger facility in Union, New Jersey. In 1962, Smith’s increasing success required yet another move to Piscataway, New Jersey. Also, a third generation of the Smith family, Jay L. Smith II, joined the team. Sixteen years later, in 1978, the Jay R. Smith Mfg. Co. moved to its present location in Montgomery, Alabama. The plant is situated on a 33-acre site in the Gunter Industrial Park; the plant contains over 265,000 square feet of office, manufacturing and warehouse space. On June 1, 2010, the Acorn Family of Companies and Smith Industries announced a new business alliance and a jointly owned company. Acorn Family of Companies later changed to Morris Group International (MGI) to better reflect the diversity of the product lines under its umbrella. 2011 marked Jay R. Smith Mfg. Co.’s 85th year of business. The strength of Morris Group International and a nationwide network of committed sales representatives and service centers will continue to enable Jay R. Smith Mfg. 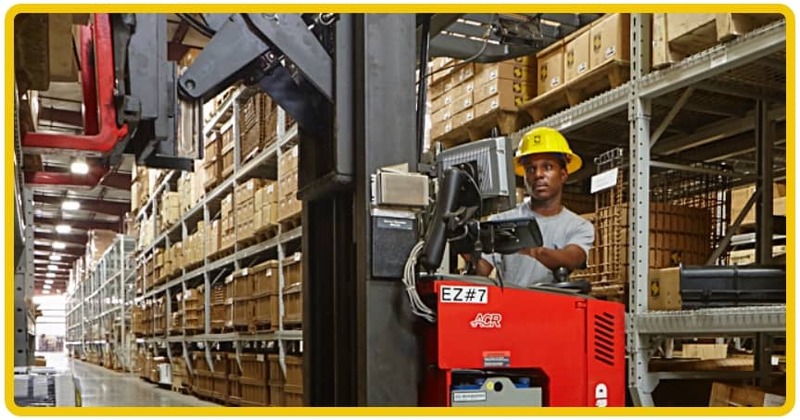 Co. to meet the demanding requirements of wholesalers, engineers and contractors. 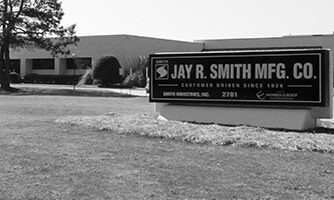 2011 also marked the beginning of a major renovation at Jay R. Smith Mfg. Co. A showroom of Morris Group International Products was added to the building. In addition, the building’s office facilities were completely redone and work was started on a 53,000 sq. ft. warehouse addition that was completed in 2012. The new warehouse is home to the Montgomery Distribution Center, which allows products from Morris Group International divisions and partnerships to use Jay R. Smith Mfg. Co.’s existing distribution channels. In 2016, Jay L. Smith II passed away. Jay L. Smith was the third generation of Smith family leadership in the company through a tremendous period of change and growth. 2016 also marks Jay R. Smith Mfg. Co.’s 90th year in business offering quality products, service and innovation in the specification plumbing and drainage industry. Smith continues to offer its core product line and innovate with new products that offer solutions to some of plumbing’s toughest challenges. Jay R. Smith Mfg. Co. provides a comprehensive line of quality engineered plumbing and drainage products for the non-residential construction market. All Smith products are designed for adaptability, conformance to codes, ease of installation, and maximum performance efficiency. From a New York basement to the new business alliance with the Morris Group International, Jay R. Smith Mfg. Co. continues its commitment to the plumbing industry and today’s construction professionals. Download Smith's brochure Providing Solution Based Engineered Products for 90 Years.